Great experience to conquer the top of Indochina – Fansipan Mount Peak in Sapa, by cable car, just have a seat tight in a cabin, within only 15 minutes, you will reach the top of Fansipan at 3143m high. The cable route has welcomed thousands of coming tourists to Sapa to make their dream of conquering the highest Indochina peak to be real. 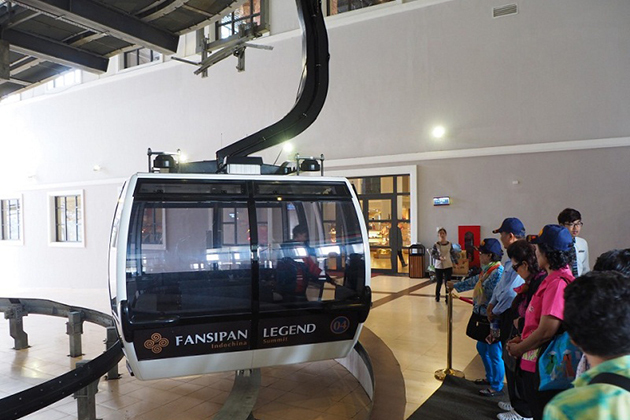 In the past, Fansipan normally takes climbers two days to cross hardly the challenging route to reach the top of Fansipan, but everyone can now touch what is also known as “Indochina’s Roof” within 15 minutes thanks to the Fansipan modern cable car. There are many different ways from Hanoi to Sapa travel such as motorbike ride, bus ride, car rental or train ride. Taking a coach and train to go to Sapa is the most popular choice. Traveling by train takes about 8-9 hours and it only stops in Lao Cai. It then takes 1 hour to get to Sapa from Lao Cai station. The train often departs at between 8:00 pm and 10:00 pm, and you can catch a good night before getting woked up by the beautiful mountain scenery at dawn. Ticket for single night train is about VND 200,000 to VND 600,000. Thanks to Hanoi – Lao Cai highway, the journey by coach to Sapa has become safer, more convenient and much faster. You can choose some companies to offer the best service such as InterBusLines, Fansipan Express, Green Lion,… It will take about 5:30 ‘to take a coach to the town center of Sapa. Fansipan cable car station is located in Fansipan Legend tourist area placed about 3km from Stone Church – Sapa town center. You may catch a taxi or walk to the cable car station. It takes about 10 minutes if you choose a taxi whose price is about 50,000 -100,000 VND. 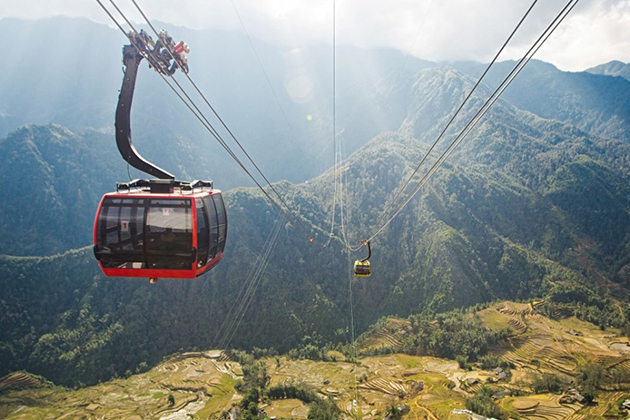 Form March/ 2018, it is more convenient to take Muong Hoa mountain train connecting Sapa town with the station of Fansipan cable car. It takes 4 minutes instead of 15-20 minutes by car on the rugged mountain road. The price ticket is 200,000 VND / adult, 150,000 VND / child 1m-1m3. Buy both a train and cable car tickets, you will be discounted of 50,000 VND / ticket, and get a meal coupon at Van Sam restaurant at the cable car station. 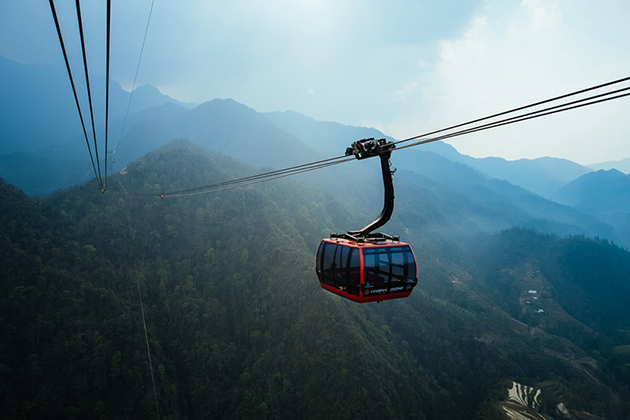 You should note that the cable car ticket is only valid for use during the day, so it is advisable not to buy in advance to keep the ticket unless you have time to go to Fansipan that day. You should buy tickets directly when going to the station. 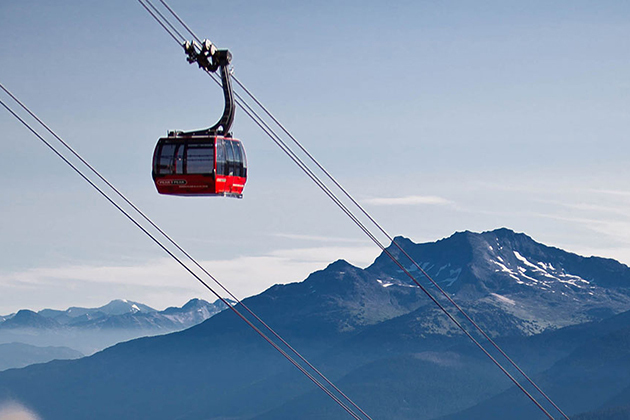 Now you can purchase cable car tickets quite fastly and easily. 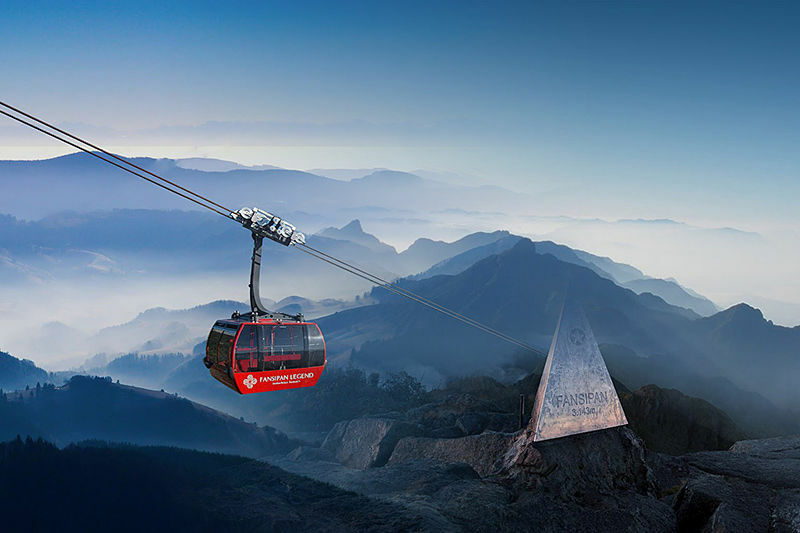 Each cable car cabin can accommodate from 30-35 people, the transport capacity of the whole system is about 2000 guests/hour. Sapa Station starts at Muong Hoa valley, the arrival station is a high point of 3000 meters very close to the top of Fansipan mountain. The cable car route is 15 minutes instead of climbing two to four days as before. 15 minutes from the station in Muong Thanh Valley to the station on the top of Fansipan is a very amazing journey. 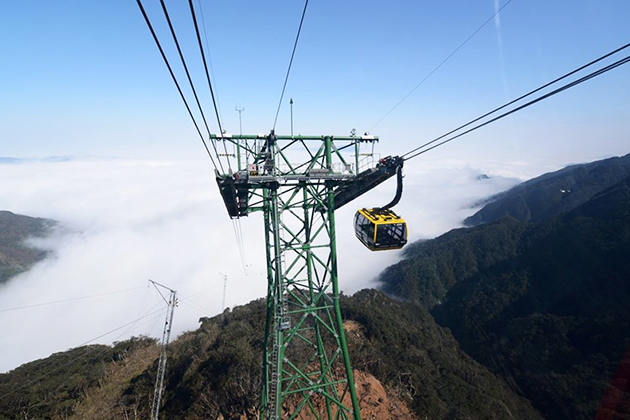 From the cable car cabin, visitors will admire all the majestic and poetic natural beauty of Hoang Lien Son range and Muong Hoa Valley. During the 15-minute trip, tourisms will see the beauty of Muong Hoa Valley, the dense primeval forests and Hoang Lien Son Mountains majestically. Imagine that you may touch thick clouds when going higher. Visitors’ visions will be limited. 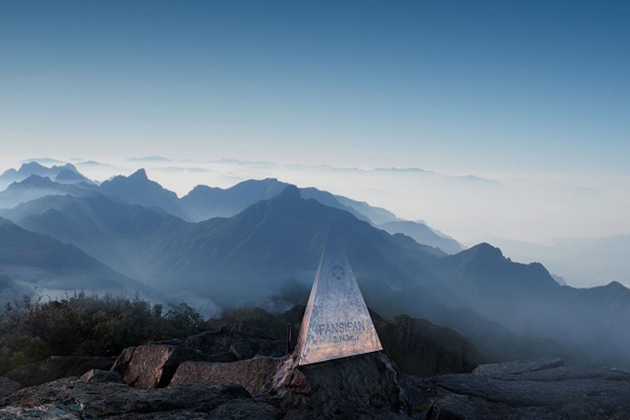 After stopping at the arrival station, visitors will have to conquer 600 terraces to get to Fansipan peak, 3143m high. This distance does not take much effort but visitors still have to take 20-30 minutes to go through these 600 steps. Weather: Fansipan conquest success depends on many weather factors. If you go on rainy days, slippery, muddy roads will cause many troubles. Especially if too many clouds, you will not see the majestic scenery of Sa Pa.
Health: Although going to Fansipan by cable car or road, you still have to climb about 600 terraces so if your health is not good, you should take care of yourself carefully. Essential equipment: If you plan to climb a mountain, you cannot prepare a lack of dedicated insurance. The higher you go, the lower the temperature is in Sa Pa. So you should also bring warm clothes. Finally, the porter and the map prevent from getting lost. Food: You should prepare your own food because restaurant placed in the road to Fansipan is very scarce. Especially for travelers who intend to climb mountains, the prepared food needs to be fast food. Remember to bring enough drinking water for the journey because you can hardly find fresh water on it. Finally, remember to clean up your garbage to keep the natural landscape beautiful. This entry was posted in Hanoi Travel Blog - Hanoi Introduction & Information. Bookmark the permalink. Where to Watch Fireworks on Lunar Calendar New Year’s Eve 2019 in Hanoi? Hanoi Local Tour tailor-makes unique Hanoi day tours, sightseeing adventures and interesting trips starting from Hanoi to help travelers explore Hanoi, Vietnam on their way. We are a passionate team of one hundred avid travelers who love to share our experiences of Hanoi, Vietnam with those looking for a more authentic travel experience.